There is hardly a sector in the economy that has developed as strong as the goods traffic. New distribution channels, like the Internet, create an increasing need in packaging materials. 100 years ago, when our company was founded, no one could have foreseen this development. Nevertheless, we offer products today that are optimally suitable for the existing demand and have an extremely important function: the secure closing of packaging. 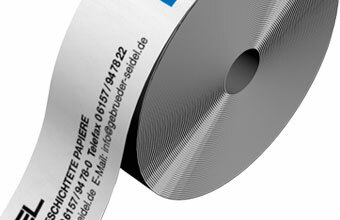 In this way our adhesive tapes contribute to a smooth dealing with delivery assign- ments. The fact that our gummed products are based on paper – being very environmentally friendly – is another advantage nowadays.